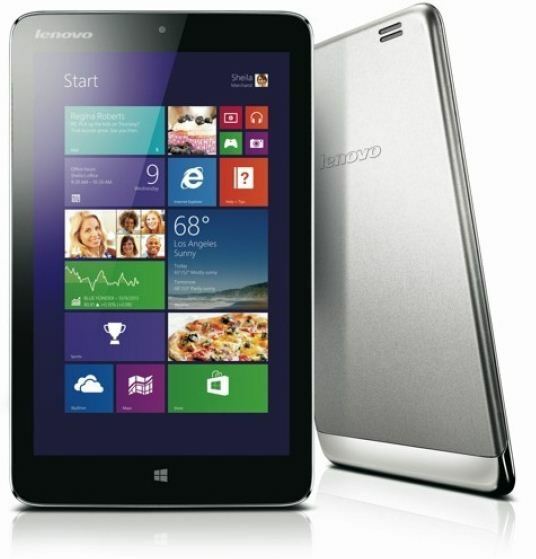 Yesterday, Lenovo announced its first 8-inch Windows 8 tablet dubbed the Miix2. The device will be going on sale later this month starting at only $299. RESEARCH TRIANGLE PARK, NC – October 17, 2013: Lenovo(HKSE: 992) (ADR: LNVGY) today announced the Lenovo Miix2 8-inch tablet, a Windows 8.1 multi-mode device that packs an Intel quad-core processor and IPS wide-angle, high-definition display into a small tablet form factor. Paired with an optional stylus and detachable cover, the Lenovo Miix2 8-inch joins its popular predecessor, the Lenovo Miix. Measuring only 8.35mm thick and weighing a mere 350g, the Lenovo Miix2 8-inch tablet delivers a 16:10 widescreen experience that deftly balances visual experience with portability. The 10-point multi-touch WXGA display delivers an 800 x 1280 resolution and its impressive 178-degree viewing angle means no one is left out of the fun. Equipped with two webcams, one in front (2MP) and one in back (5MP)1, the tablet is designed for effortless video chatting and photo sharing. Pre-loaded with Windows 8.1, the Lenovo Miix2 8-inch brings all the enhancements of Microsoft’s latest operating system, including enhanced searching and sharing; improved Web-surfing with the new IE 11, touch optimization and the return of the popular “Start” button. The Lenovo Miix2 8” also encourages productivity outside the office. The device comes pre-installed with Microsoft Office Home & Student 2013, allowing users to easily view, edit and manage their documents right out of the box. 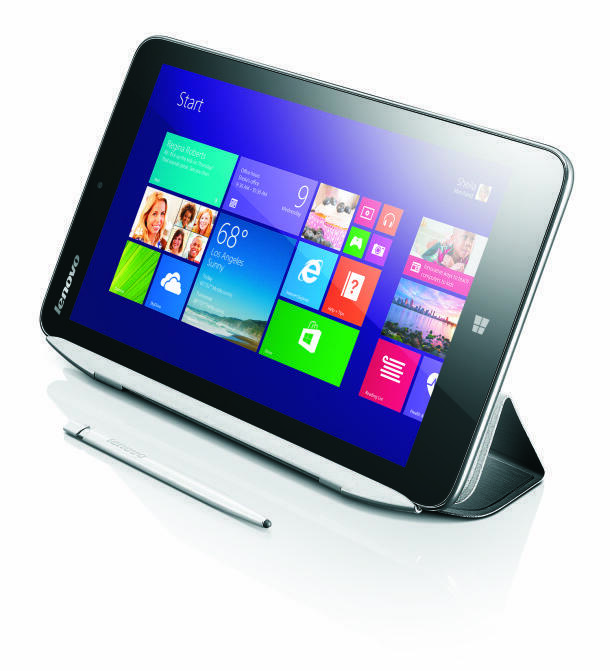 The tablet also offers the option of a stylus and detachable cover. The cover protects the screen when not in use and doubles as a stand for viewing content on the device. The stylus is a perfect companion for drawing, sketching or taking notes and further enhances productivity. Written by: Hyde13 on October 17, 2013.